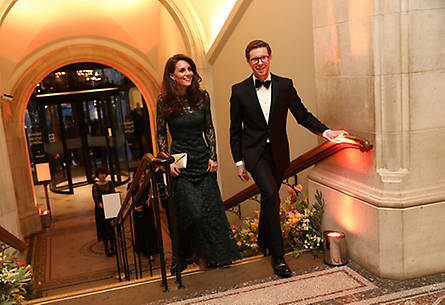 Kate paired her gown with a glitzy gold clutch, and wore her hair down in loose curls, with natural make-up to complete the look. 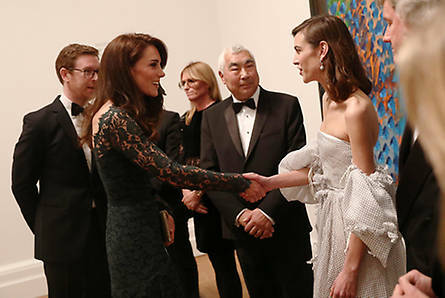 The Duchess of Cambridge stepped out for a solo engagement on Tuesday night – attending the National Portrait Gallery’s 2017 Portrait Gala. 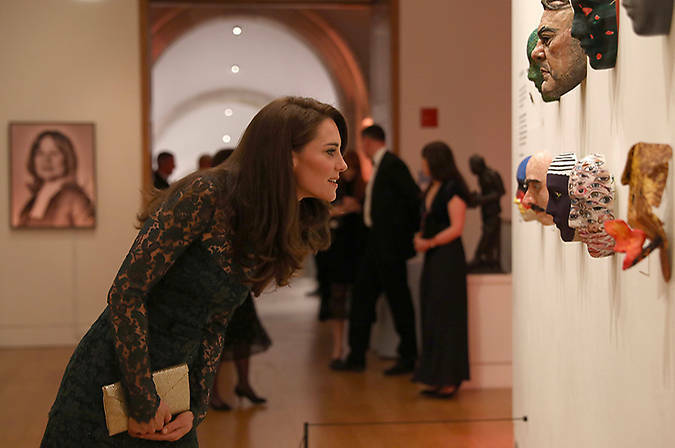 Kate, who was attending in her role as patron of the iconic London museum, looked stunning on her official night out. 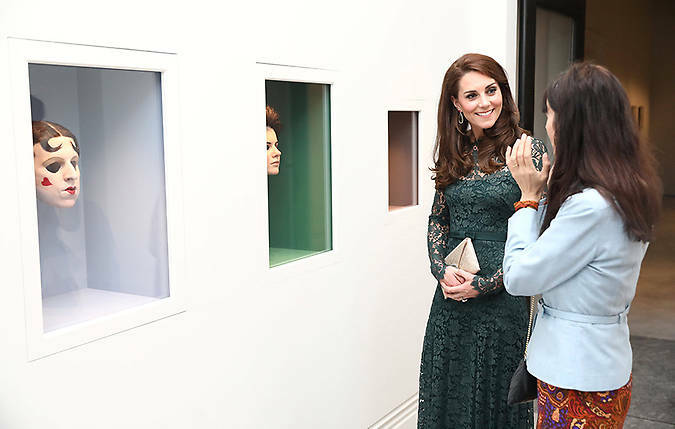 She kicked off the event with a reception, where she viewed the newest exhibitions, followed by the gala dinner. 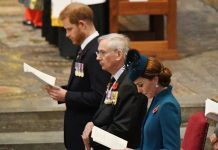 Kate, 35, had the chance to mingle with a selection of guests, many of whom will have contributed to this important event. She was also introduced to Richard Found and Jane Suitor, fellow parents from Thomas’s school in Battersea, where Prince George is due to start in September. 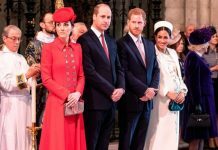 The royal was dressed to impress, wearing a floor length dark green Temperley dress that featured delicate lace detailing. She accessorised with a pair of special edition earrings by Kiki McDonough, that featured pink tourmaline, green amethyst and pave diamond earrings in 18ct yellow gold. 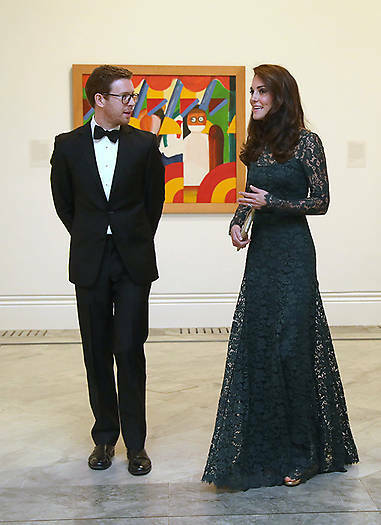 Kate was greeted by National Portrait Gallery Director Nicholas Cullinan and warmly welcomed to the musem.